Justice and Reconciliation in Post-Apartheid South Africa assesses the transitional processes under way since the early 1990s to create a stable and just society. Change in South Africa is often credited to the efforts of the Truth and Reconciliation Commission (TRC), but the work of this institution forms but a facet of a much broader picture. This book looks at the steps which accompanied and followed the TRC's activities, such as land restitution, institutional reforms and social and cultural initiatives. Thematically, it interlinks the TRC's concerns over truth and reconciliation with an analysis of the concepts of justice, accountability, harm and reconciliation and with competing perceptions of what these notions entail in the South African context. 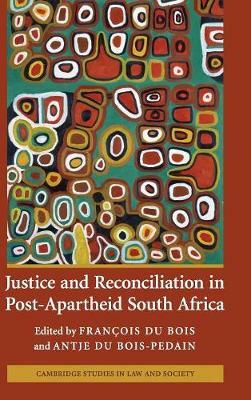 Bringing together international and South African scholars whose work has focused on these themes, the contributions provide a cohesive and inspiring analysis of South Africa's response to its unjust past.